Sebaceous gland carcinoma is considered to be one of the rarest forms of skin cancer. The sebaceous glands are the glands that are responsible for producing oils. Hence this carcinoma can be found anywhere on any body part. However, sebaceous gland carcinoma is mostly observed to occur on the eyelids. Almost 90% of the cases of sebaceous gland carcinoma are found on the eyelids. Sebaceous gland carcinoma can also occur on the neck, the torso or even the genital area. Sebaceous gland carcinoma occurs in middle aged people but cases of sebaceous gland carcinoma have also been observed in young people. Generally, the appearance of tumor in case of sebaceous gland carcinoma is more like a stye. Therefore, if a person is suffering from persistent conjunctivitis or recurrent chalazion, it may be an indication of sebaceous gland carcinoma. If the problem of chalazion or conjunctivitis persists for more than 90 days, a skin biopsy to confirm the presence or absence of sebaceous gland carcinoma should be done. Like most other forms of cancer, the cause of sebaceous gland carcinoma is unknown. But some factors have been associated with the occurrence of sebaceous gland carcinoma. Sebaceous gland carcinoma can happen to a person who has had radiotherapy done on the face. Any previous history of some type of cancer may also lead to the occurrence of sebaceous gland carcinoma on the body. Muir- Torre syndrome which is a rare genetic condition also is associated with sebaceous gland carcinoma. In this case, the sebaceous gland carcinoma is considered to be an indication of another tumor in the body and the sebaceous gland carcinoma is just a secondary tumor in this case. The appearance of the sebaceous gland carcinoma is in the form of a small nodule which could be yellowish in color. Sometimes, the tumor of sebaceous gland carcinoma is only visible on pulling down the eyelids. Sebaceous gland carcinoma is an aggressive form of cancer and it soon can metastasize to other parts of the body. Sebaceous gland carcinoma can spread to the lymph nodes, liver, bones, brain etc. The treatment for sebaceous gland carcinoma begins with various imaging tests which include the PET scan and the CT scan. This is done to see the extent to which the sebaceous gland carcinoma has spread. In India, it is estimated that more than 1000 people die of different kinds of carcinomas every day. The number of deaths is higher in cities like Mumbai where the level of pollution has crossed the top thresholds. With the level of cancer deaths increasing day by day in India, India is set to become the cancer capital of world. Awareness about different types of carcinoma in India is really low. All the top doctors of India have to say one thing about carcinoma that early detection is the key. In India People tend to ignore or dwell in denial when they suspect anything wrong in their bodies. In India, one of the top reasons for delay in the treatment is misconception that every cancer causes death. This of course is not true. In Mumbai, the best cancer hospitals regularly treat thousands of carcinoma patients, who later on live a normal life. The level of awareness is not only low in states of India which have a lower literacy rate but also metro cities which have the best of doctors and best of faculties. The stigma and fear associated with cancer in India makes people take a step back even before the treatment begins. The best treatment for cancer in India is the early treatment. Most big cities like Mumbai have specialized cancer centers which provide the best treatment to the patients. If you notice any unexplained changes in your body you should see a doctor immediately in India. Big cities like Delhi and Mumbai, where there is more pollution and industrialization have more cases of cancer. Apart from that lifestyle disorders are more prevalent in Mumbai and that has been attributed be a cancer causing factor. Mumbai is emerging to have the most number of cancers incidences because of pesticides, industrial pollution in the sea etc. Water pollution and rampant tobacco abuse also makes Mumbai one of the cities with the highest number of cancer deaths. 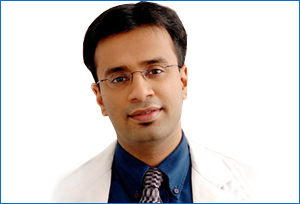 Mumbai has the best treatment faculties for cancer with some of the best doctors of India. As specialty cancer hospitals are not present in all states of India, many people come to Mumbai, for getting the best treatment. Mumbai has been known to be the top cities in India where the best medical innovations are being carried out and because of this more patients come to Mumbai from all corners of India. The cases of cancers are on a rise in not only Mumbai but all states of India. We all can make some efforts to keep cancer at bay by making lifestyle changes and doing our bit in keeping pollution levels low. For the top facilities and best treatment of cancer, you can come to Mumbai. In Mumbai sebaceous gland carcinoma is treated by a dermatologist, oncologist and an ophthalmologist together. You will get state of the art facilities in Mumbai for treatment of sebaceous gland carcinoma.